With concerns about mercury toxicity and amalgam fillings, patients may wonder about other dental restorations. Piedmont residents can rest assured knowing their dental crowns do not contain mercury. Dr. William Virtue of Virtue Dental Care follows strict practices laid out by the International Academy of Oral Medicine and Toxicology (IAOMT). Our practice understands the importance of patient health and safety, utilizing only materials and methods that are safe for patients. This includes the use of biocompatible porcelain crowns. A dental crown can repair a cracked, broken, or badly decayed tooth, or finish a dental implant. It is essentially a cap placed over the tooth to repair, restore, and improve the tooth’s appearance and function. Following a digital impression, a dental restoration is made to blend with surrounding teeth in size, shape, and color. Made of porcelain, our crowns are completely biocompatible and do not contain mercury or other metals. At Virtue Dental Care we utilize CEREC crowns. CEREC stands for Chairside Economical Restoration of Esthetic Ceramics. These crowns are created in your dentist’s office on the day of your appointment. 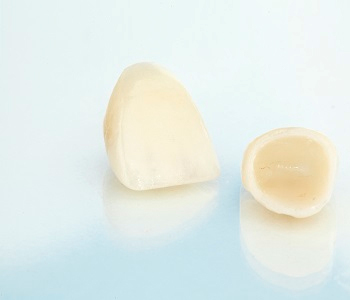 Made of porcelain, CEREC crowns are durable and long lasting. The crowns blend naturally with surrounding teeth, so they are aesthetically pleasing. Patients receive their dental restorations in one visit. There is no need to wait or to return to the office for multiple appointments. CEREC crowns are metal free. As the past president and secretary of the IAOMT, Dr. Virtue understands the importance of using safe, biocompatible materials and methods to treat patients. We are committed to personalized patient care. In addition to general dentistry services, we offer cosmetic and restorative care to give you a healthy smile. Contact Virtue Dental Care for an appointment Virtue Dental Care Patients call (336) 679-2034 and New Patients call (336) 679-2034.